Go on more unforgettable trips with the highly reliable 2019 Starcraft Autumn Ridge Outfitter 282BH! This quality Travel Trailer is great for families of adventurers, and it's available now at a great price at RV World MI! You'll find this RV and other top brand models on our lot at 7834 S Division Grand Rapids Michigan 49548. Even if you don't live near our Grand Rapids RV dealership, we can still bring your RV to you with our 24/7 nationwide delivery! If you'd like more information on this Autumn Ridge Outfitter, call our RV experts today at 616-591-3632! This Travel Trailer is built to tow and go with a hitch weight of 595 lbs, GVWR of 8500 lbs, dry weight of 6445 lbs, and 1 flush mount slides that reduce wind resistance. The easy opening 20' 0" patio awning means outdoor shade and protection for the whole family! You won't miss any sleep while you're camping with the cozy Queen bed in the master bedroom! 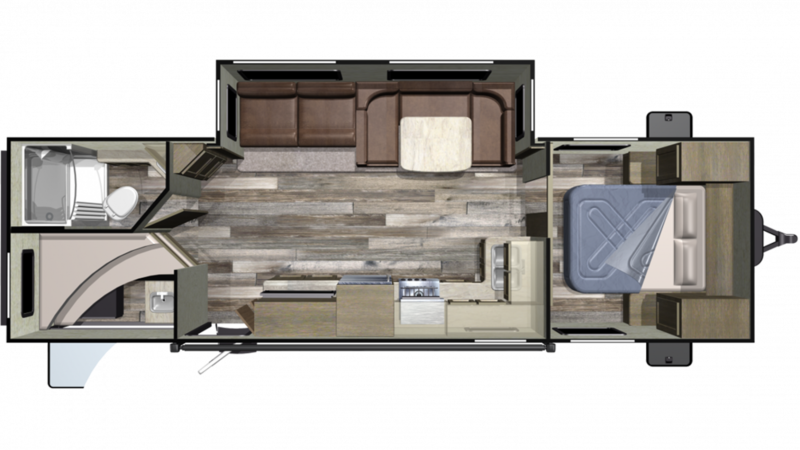 There's enough sleeping space inside this RV for up to 10 people! Let's be honest. No one likes to trudge through the campground to the damp, cold community bathroom, right? 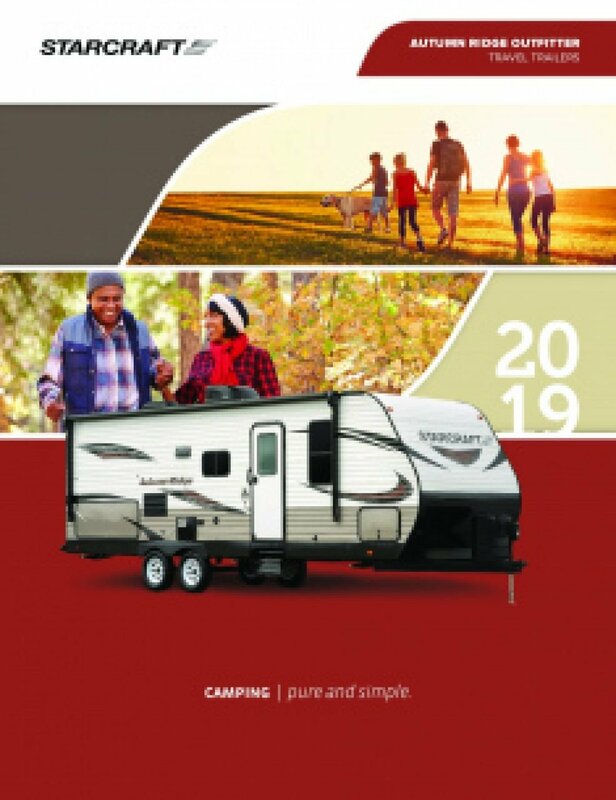 You'll never have to when you're on the road in the 2019 Starcraft Autumn Ridge Outfitter 282BH! It has a great bathroom with a roomy shower and easy to use Foot Flush commode! There are 60 lbs. of LP tank capacity, so the water stays hot for longer periods of time! The 64 gallon gray water tank and the 32 gallon black water tank stores all the used water and waste discreetly, so you don't have to look at or smell it! One of the nicest features of this Travel Trailer is the roomy bunkhouse where kids or guests can cozy into the Bunkbeds at the end of a fun-filled day and drift off to sleep in peace and comfort! You can make fresh meals under the sun when you're on the road thanks to the handy outdoor kitchen! It's easy to open up and you'll be cooking in no time - breakfast, lunch, or dinner! Nothing tastes better than a meal cooked in the fresh air and sunshine!